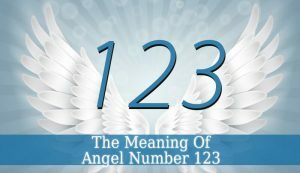 123 Angel Number – is an angelic message that comes in the form of a number. In order to understand the message 123 Angel Number holds, we firstly have to analyze the numbers it contains (1, 2 and 3). 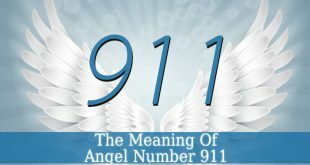 Mostly, because the angel number combines the vibrations and energy of the three numbers it contains. Angel Number 1 – this powerful number resonates with new beginnings, changes and initiative. It resonates with qualities like self-leadership, motivation and assertiveness. This number is also linked to your intuition and/or instinct. Mostly, number 1 is a sign that you have to watch your thoughts and intentions. Because they create your own reality. Angel Number 2 – this angelic number resonates with duality and balance. Therefore, it is sign that you shouldn’t stop striving for balance. We are all dual beings. And we have to balance the physical and spiritual. Number two is a a warning to don’t forget about your spiritual health and life. It fills you with faith and trust. Angel Number 3 – this manifesting number is highly powerful. It is linked to communication and self-expression. Number 3 also resonates with the Ascended Masters. Therefore, it might be a sign that you are guided by not only your guardian angels, but also by the ascended masters. Which is good news. Because you can ask for their help anytime. Angel Number 123 – you don’t keep seeing this number for no reason. This number holds a powerful message. This number is an encouragement that it is time for you to manifest your goals. Number 1 brings you the start or new beginning, meanwhile number 2 brings you faith that it will work out. And number 3 helps the manifestation. Sounds like a plan, right? 123 Angel Number is a subsequent number. These subsequent numbers are small steps or plans from your guides. You have to recognize them and integrate them into your life. Your guardian angels are close to you. So, if you feel lost or you don’t understand their hints, just ask for help.